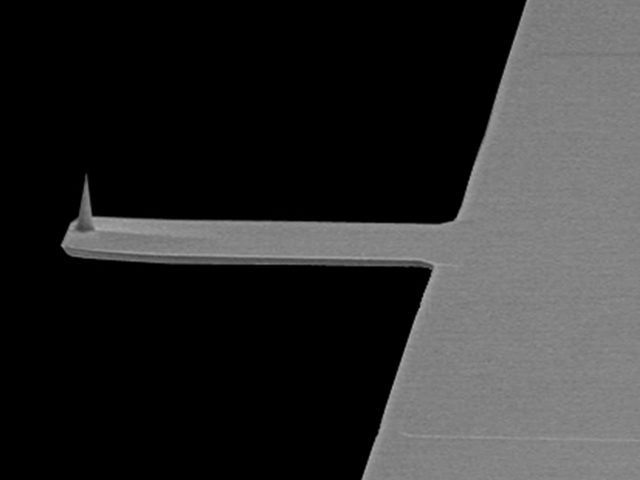 Probes for non-contact and tapping (intermittent contact/semi-contact) mode measuments without tip-side coating. 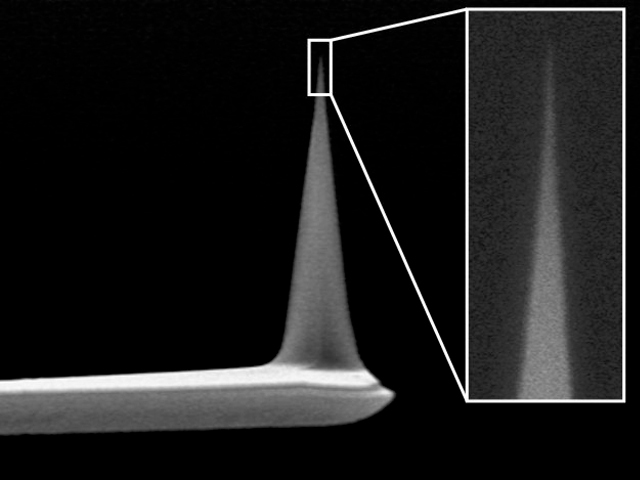 Cantilever backside can be uncoated or have high-reflective aluminium or gold (on a chrome sublayer, which increases adhesion of gold to the silicon tip) coating. The reflectance of the backside-coated cantilever is typically 2-3 times as high as that of uncoated one. 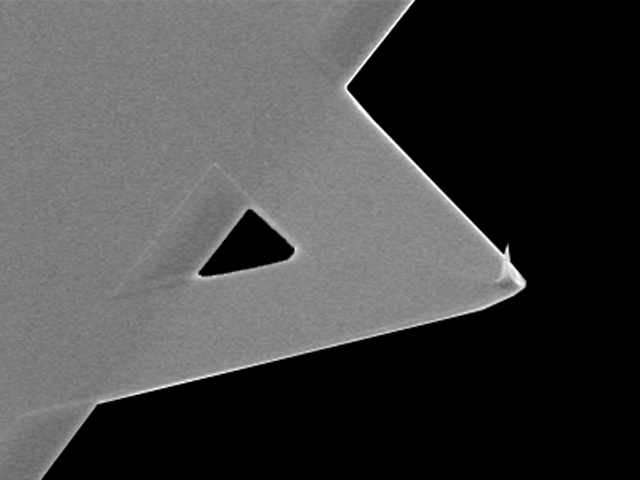 Triangular cantilever (90um, 420kHz, 50N/m).